WITHIN the past few years there has been increased attention given to the psychiatric emergency division of teaching hospitals. 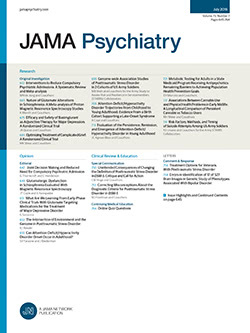 The advances in patient care and the increased interest in crisis management have stimulated all professions to review the services offered to patients who come to a psychiatric emergency division.1-6 Often in the past the psychiatric emergency has been a clearing house in which patients were hospitalized, referred to outpatient clinics, or other community resources. The resulting problem of waiting lists for therapy and the increasing demands for service have promoted the exploration of theoretical concepts for crisis management and short-term psychotherapy.